The third heat of the Mini Lites BW class was won by Ty Kean from Victoria in a race that was closely fought between the top three in the first race of the day. Hunter Collins (NSW) settled into second, while Jett Burgess-Stevens (TAS) built a comfortable advantage to secure third. Completing the top five was Cambell Williams (NSW) and Connar Adams (VIC). The excitement was palpable for heat four and Brock Sleader (QLD) would emerge victorious. Jackson Camilleri (QLD) pushed as hard as he could, but second was the best he could manage, a further 4.485 seconds behind the leader. The battle for third took place much further behind with Ryan Alexanderson (QLD) taking the position. Rory Fairbrother (NSW) and Liam Atkinson (WA) rounded out the top five. 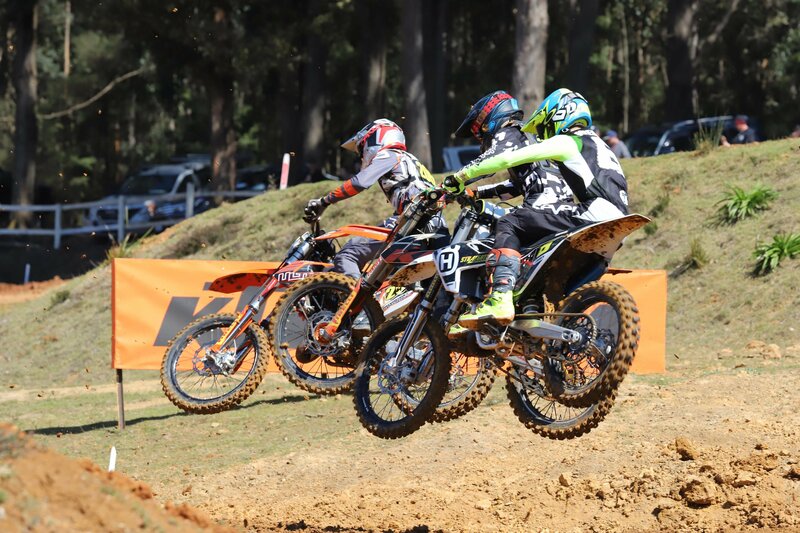 The 65cc 7-U9 class burst onto the scene for their first final of the week and local Tasmanian Jacob Brewer was the standout performer with his win. The race for the victory was a close fought affair with Ryder Creeke (NSW) pushing Brewer all the way to the finish. Eventually Creeke would fall short by only 2.749 seconds. Third place finisher Jobe Dunne (VIC) was a further 20.408 seconds behind the leader with Jai Hay (SA) and Hunter Cameron (VIC) finishing fourth and fifth. The girls gave it everything they had in their first final and it was young prodigy Charli Cannon (QLD) to emerge victorious, clearing the field with a commanding 7.904 second advantage. Taylah McCutcheson (QLD) slotted into a comfortable second, while it was Taylor Thompson (NSW), Tanesha Harnett (NSW) and Tahlia Drew (QLD) who were third, fourth and fifth respectively. This final was one of the most exciting of the day with emerging superstar Jet Alsop (QLD) taking victory in a massive battle between the top three. Alsop’s gap the chasing pack was 3.699 as he crossed the finish line in front of Angus Pearce (TAS). Jake Cannon (QLD) established himself in the top three, while Seth Burchell (NSW) and Jye Cairns (TAS) finished fourth and fifth. Regan Duffy (WA) has been strong all week long so far, and established himself as the one to beat in the 125cc-15yo class. Duffy from WA took victory by 5.374 seconds on his KTM machine, earning himself a handy 35 points. Noah Ferguson (QLD) lodged a second-place finish, followed by Tye Jones (QLD) and Lochie Smith (TAS) in fourth and fifth. South Australian, Alex Larwood put on a dominating display for the Junior Lites – 13-U15 emerging as the winner by 9.602 seconds. The battle for second was a much more closely fought affair with New South Wales riders, Ricky Chalmers (2nd) and Benny Novak (3rd) only separated by 0.884 of a second. Blake Hollis (NSW) and Cameron Torpy (NSW) registered fourth and fifth place finishes. Youthful WA rider, Kayden Minear led the charge in Final 1 of the 65cc 9-U11 Years category, pushing his way to a 4.322 second victory ahead of New South Wales’ Ky Wood’s. Koby Hantis (NSW) cemented a podium position ahead of Jett Williams (QLD) and Kayd Kingsford (NSW). The Ladies Mini Lites 12-U16 Years division was all about Taylah McCutcheon (QLD) after she just managed to take victory ahead of Charli Cannon (QLD) after an almighty duel! The difference separating them was a paltry 0.321 of a second. Crossing the line in third was Tanesha Harnett (NSW), followed by Taylor Thompson (NSW) and Holi Geeves (TAS). It was another close fought affair in the Junior Lites for the 15 year olds, with Liam Andrews (VIC) taking a slender 2.853 second victory. Regan Duffy (WA) slotted into second, with Tye Jones (QLD), Dante Hyam (NSW) and Noah Ferguson (QLD) behind him. 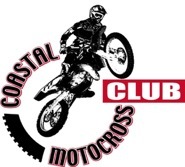 South Australian ace Alex Larwood opened his day strongly with a commanding victory in the second final of the 125cc 13-U15 Years class, defeating rival and Queenslander Levi Rogers. Blake Hollis (NSW) salvaged third, as Ricky Chalmers ((NSW) and Cameron Torpy (NSW) complete the first five. Jet Aslop (QLD) continues to dominate with an incredible display in Heat 5 with a five second victory, ahead of Byron Dennis (NSW) and Seth Shackleton (WA). The real entertaining race was in heat 6 however with an incredible battle to the finish between the top three competitors. Only half a second separated the trio as they crossed the finish line. Taking victory was Seth Burchell (WA), ahead of Kayden Minear (WA) and Jake Cannon (QLD. As it stands, Alsop currently leads the points standings in this class with 105 points, ahead of Burchell and Cannon. Aden Oakland (QLD) proved to be unstoppable today, adding a race victory in the 50cc Division 2 7-U9 Years class to his name. Behind him was Brodie Court (QLD) followed by Cooper Downing (QLD), Phoenix Blanchette (NSW) and Peter Wolfe (QLD) to close out the top five. The second final of the Mini Lites BW 14-U16 Years was all about New South Welshman, Benny Novak after he displayed a commanding ride, taking the win by over five seconds. Joe O’Donnell (NSW) maintained second, while Reid Taylor (NSW) held on for a close third. It was distant fourth and fifth for Bayley Clancy (NSW) and Blake Sheard (NSW).